President Abraham Lincoln led the Union of northern states in four years of civil war against the southern Confederacy. But he did not live to see the end of the war. He did not live to see the nation re-united. He was assassinated in April of eighteen sixty-five. This week in our series, Shep O'Neal and Maurice Joyce tell what happened after Lincoln died. Almost immediately, officials began planning details of the president's funeral. They asked Missus Lincoln where she wanted her husband buried. At first, she said Chicago. That was where the Lincolns were going to live after they left the White House. Then she said the Capitol building in Washington. A tomb had been built there for America's first President, George Washington. But it had never been used. Finally, she remembered a country cemetery they had visited. At the time, her husband had said: "When I am gone, lay my remains in some quiet place like this." So Missus Lincoln decided that the president's final resting place would be in the quiet, beautiful Oak Ridge Cemetery outside their home town of Springfield, Illinois. For several days after Lincoln's assassination, his body lay in the East Room of the White House. The room was open to the public all day. Next, the body was taken to the Capitol building. Again, the public could come to say goodbye. Then the body was put on a special train for the trip back to Illinois. Four years earlier, President-elect Lincoln had traveled by train from Illinois to Washington. He stopped to make speeches in cities along the way. Now, on this sad return trip, the train stopped at those same cities: Baltimore. Philadelphia. New York. Cleveland. Indianapolis. Chicago. In every town, people lined the railroad. They stood silently, with tears in their eyes, as the train moved slowly past. Farmers working in the fields saw the train and dropped to their knees in prayer. For the wise man who had led the Union through four years of bloody civil war -- Father Abraham -- was dead. Churches throughout the country held memorial services. Ministers told their people that God had taken Lincoln because the president had completed the job God had given him. He had brought peace to the Union, and freedom to all men. The final service was at the cemetery outside Springfield. It ended with the words from Lincoln's second inaugural speech. 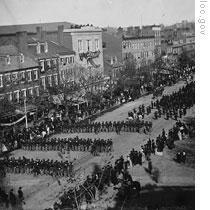 While the nation mourned Lincoln's death, federal officials investigated his assassination. 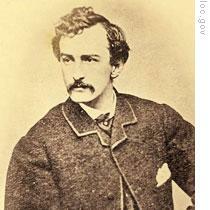 The man who had shot Lincoln in Ford's Theater was an actor, John Wilkes Booth. He had fled the theater after the murder. 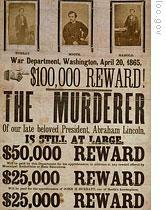 The government offered a reward of one hundred thousand dollars to anyone who captured Booth and his helpers. The investigation produced the names of several people who were friends of Booth. One was John Surratt. Like Booth, he supported the southern Confederacy during the Civil War. Another was David Herold, a young man who worked in a store in Washington. Others were George Atzerodt, Lewis Paine, Sam Arnold, and Michael O'Laughlin. 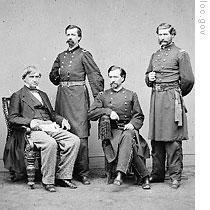 Most of these men had stayed at a house owned by John Surratt's mother, Mary. One by one, in the days following Lincoln's death, these people were arrested. Anyone else who might have had a part in the plot was seized. Soon, hundreds of suspects were being held in jails in and around Washington. At the end of a week, only two of the plotters were still free: David Herold and John Wilkes Booth. Booth broke his leg when he jumped from the presidential box to the stage at Ford's Theater. A few hours later, he and Herold stopped at the home of a Doctor Samuel Mudd. They reportedly gave the doctor false names. They asked him to fix Booth's broken leg. Doctor Mudd agreed. And he let the two men sleep at his home. Federal troops chasing the assassins arrested the doctor. They accused him of being part of the plot. Herold agreed to surrender. He came out of the barn with his hands in the air. He shouted again and again that he was innocent. Booth refused to come out. The soldiers set fire to the barn. The fire forced Booth to move close to the door. The soldiers could see him now. He was aiming a gun at them. The soldiers had been ordered to capture Booth alive. But one of them raised his gun and shot Booth in the neck. The actor fell. Some of the soldiers ran to the burning barn and pulled him out. They carried him to a nearby house. He died two hours later. John Wilkes Booth carried a notebook. He wrote in it every day. On the day Lincoln was killed, he wrote: "For six months we had worked to kidnap Lincoln. But with the Confederacy being almost lost, something decisive and great must be done. I struck boldly." Booth described how and why he had shot the president. 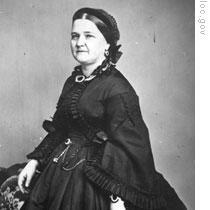 "Our country," Booth wrote, "owed all her troubles to him. And God simply made me the instrument of his punishment." Booth's body was returned to Washington. Men who knew him confirmed that it was the body of John Wilkes Booth. The body was buried under the stone floor of the Washington prison. A few years later, his family received permission to move the body to a cemetery in the city of Baltimore. Evidence showed that only a few people were actually involved in the plot against the president. Most had agreed to work with Booth because they believed he planned to kidnap Lincoln, not kill him. Of the hundreds of persons arrested, only eight were brought to trial. The secretary of war decided that they would be tried by a military court. 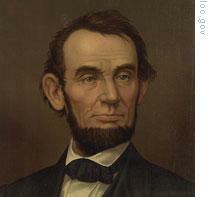 He argued that Lincoln had been commander-in-chief of all military forces and had been murdered during wartime. The trial began almost two months after the assassination. The prisoners seemed in poor condition. All wore heavy chains on their arms and legs. And the men had been forced to wear thick cloths over their heads. Officials said the cloths were necessary to prevent them from talking to each other. The secretary of war announced that the prisoners could not meet privately with their defense lawyers. They could meet only in the courtroom. Guards could hear everything they said. One of the defense lawyers recognized that the job was hopeless. He said the trial was a contest between the defense lawyers and the whole United States. There was no question, he said, what the military court's decision would be. The government tried to prove that Lincoln's assassination was a Confederate plot. Witnesses told how Confederate supporters reportedly planned to cause trouble in the North. But none could prove that Confederate President Jefferson Davis -- or any other southern leader -- played a part in Booth's plot to kill Lincoln. Four hundred witnesses appeared. Many of the important ones had been arrested as suspects. They agreed to give evidence if the government dropped the charges against them. For six weeks, the court heard evidence against the eight prisoners. The prisoners themselves could say nothing. They could only listen. In late June, eighteen sixty-five, the trial of Abraham Lincoln's assassins ended. The military officers serving as judges met secretly for two days. Then they announced their decision. All eight prisoners were found guilty. One received a prison sentence of six years. Three were sentenced to life in prison. Four were sentenced to die. Defense lawyers appealed for mercy. The appeal was rejected. 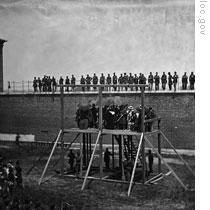 On July seventh, David Herold, Lewis Paine, George Atzerodt and Mary Surratt were hanged for the murder of Abraham Lincoln. Our program was written by Frank Beardsley. The narrators were Shep O'Neal and Maurice Joyce. 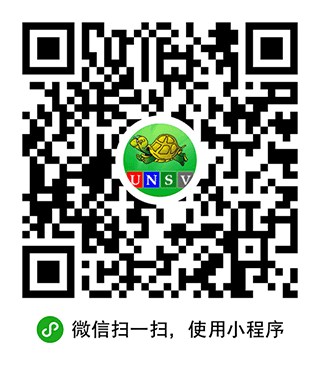 You can find transcripts, MP3s and podcasts of our programs, along with historical images, at www.unsv.com. And you can follow us on Twitter at VOA Learning English. Join us again next week for THE MAKING OF A NATION -- an American history series in VOA Special English. a great man .and people love him.